Fun fact: Heidi Staples of Fabric Mutt was my first swap partner ever, way back in 2012! I received a GORGEOUS mini quilt, Perspective, that has hung in my sewing space ever since (in fact, I'm looking at it right now!). I also use the fabric basket she made me daily. Since then, Heidi has become a great bloggy/sewing friend of mine, and I'm so excited that she has written a book, Sew Organized for the Busy Girl: Tips to Make the Most of Your Time & Space (23 Quick and Clever Sewing Projects You'll Love). I took inspiration from Heidi's original version (below) and made my background scrappy low volume. It's hard for me to do anything but that these days anyway. ;) Love it! Quilting this was exhilarating. I decided to make pebbles my central theme because I knew they would make a bold statement. Small pebbles, large pebbles... they're all fabulous in my book. Plus, they don't have to be perfect. They have character. For binding, I decided to split between two of the heart prints from Anna Maria Horner's Pretty Potent collection. I bought yardage of these specifically for binding, and I just LOVE how they mesh together. I almost went with just the warmer color but I'm very happy with my decision. I backed this quilt in some leftover Anna Maria Horner flannel that I had from Breeze. It's perfect for a baby's crib! 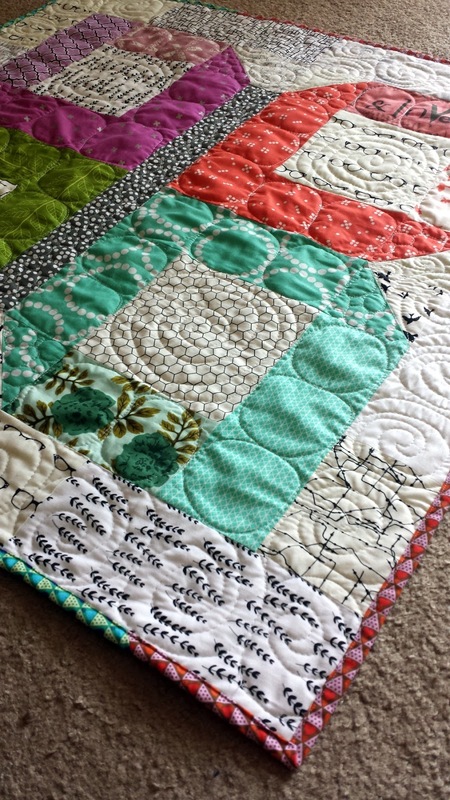 Besides this quilt and the gorgeous, modern traditional style projects Heidi highlights in her book, she has also scattered organizational tips throughout (from other sewists, too). I personally like to keep my projects separated in plastic boxes (purchased from Michael's), and I love Heidi's free download Project Bag Form! 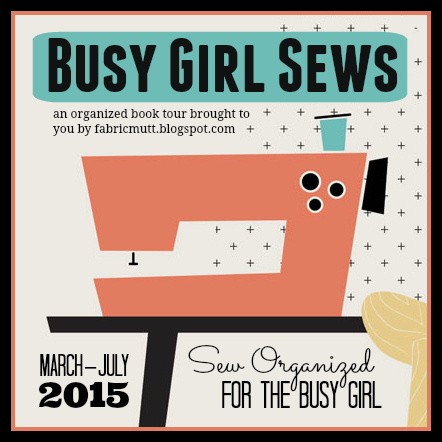 Thanks for joining me on the Busy Girl Sews Blog Hop today! Make sure to visit the other stops and to check out Heidi's book for a slew of pretty, quick, and satisfying sewing projects. June 22 - Jessica of Quilty Habit <<<<<<<------ You are here! Stay tuned this week for lots of sewing! It's stay-at-home vacation week here! 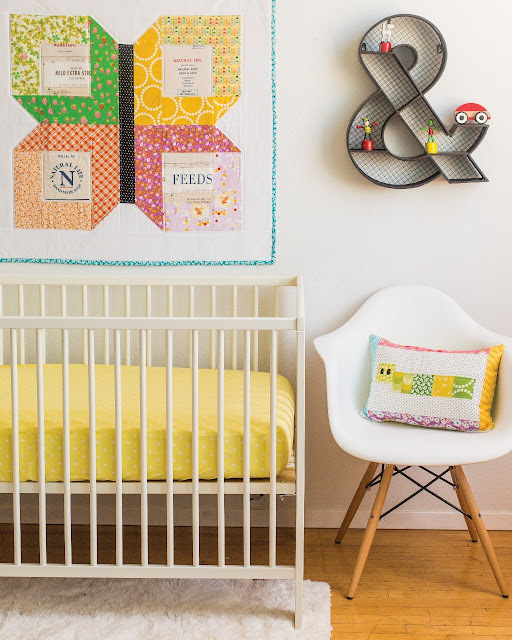 This is such a sweet baby quilt! The flannel on the back is such a good idea, I bet it is so cozy! PS the third photo won't load here of on Feedly! That's so cute! 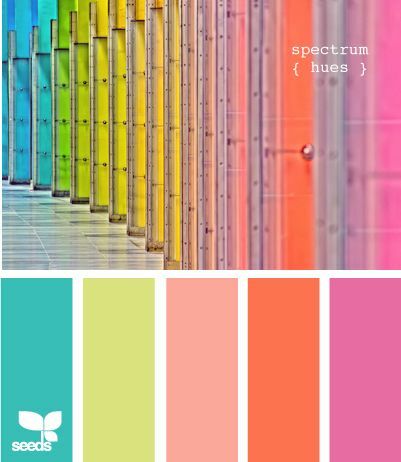 Great colours and lovely quilting! 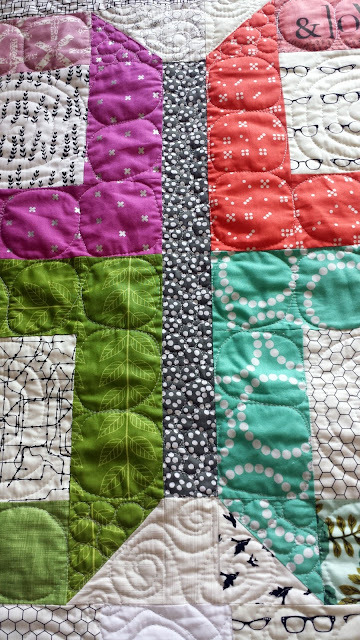 I love the colours you chose, and the spirally quilting! Love it! Especially all the low volumes. 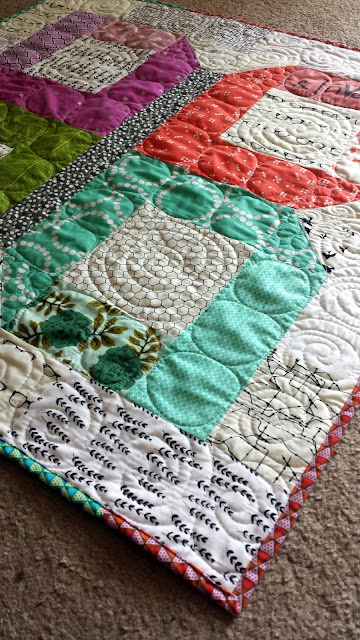 I really am in love with this quilt! Pebbling is my fave fmq it's so forgiving. Your binding choice is perfect too!